The aerial parts of plants are covered with a cuticle, a hydrophobic layer consisting of cutin polyester and cuticular waxes that protects them from various environmental stresses. Cuticular waxes mainly comprise very long chain fatty acids and their derivatives such as aldehydes, alkanes, secondary alcohols, ketones, primary alcohols, and wax esters that are also important raw materials for the production of lubricants, adhesives, cosmetics, and biofuels. The major function of cuticular waxes is to control non-stomatal water loss and gas exchange. In recent years, the in planta roles of many genes involved in cuticular wax biosynthesis have been characterized not only from model organisms like Arabidopsis thaliana and saltwater cress (Eutrema salsugineum), but also crop plants including maize, rice, wheat, tomato, petunia, Medicago sativa, Medicago truncatula, rapeseed, and Camelina sativa through genetic, biochemical, molecular, genomic, and cell biological approaches. 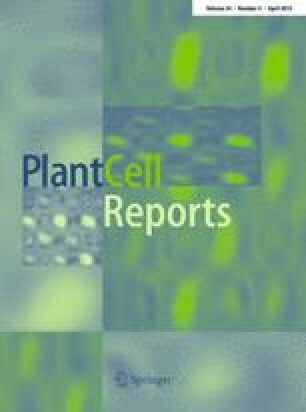 In this review, we discuss recent advances in the understanding of the biological functions of genes involved in cuticular wax biosynthesis, transport, and regulation of wax deposition from Arabidopsis and crop species, provide information on cuticular wax amounts and composition in various organs of nine representative plant species, and suggest the important issues that need to be investigated in this field of study. We would like to express our sincere gratitude to Ljerka Kunst (University of British Columbia) for her critical review. This work was supported by grants from the Next-Generation BioGreen 21 Program (PJ0110522015) of the Rural Development Administration, Republic of Korea, and the National Research Foundation (2013R1A2A2A01015672) of Korea.